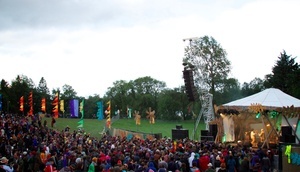 With a pair of weekend camping tickets to Body and Soul at Ballinlough Castle, Co Westmeath on offer, we asked: why you of all people deserved a pair of weekend camping tickets. JozzyPete: “I am familiar with many of these bands and demand the weekend tickets because..things keep happening that prevent me from going to festivals. The last festival I made it to was EP 2006 with an ex-girlfriend. I didn’t even see one band as I spent most of the time going between the jaxx, the tent, the food stalls and back to the jaxx with her. 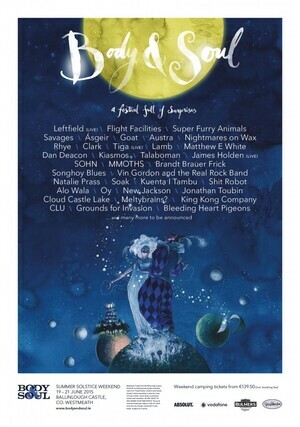 I vowed that this would be our final festival. After the split, two years later, I went on a bender….a huge bender. Ended up living in Holland on the bender for a few years. While there I met a lovely lady who started popping out children. Great times indeed but between buying nappies, trying to convince the children to go back to sleep and the fact that I lived in Europe’s dullest country, I never made it to any festivals. Posted in Misc and tagged Body & Soul at 12:42 pm on May 28, 2015 by Admin. Best answer alright. Enjoy Jozzy. Deserving winner. No nappies for a weekend sounds good!! Well done. Enjoy the concert! Congratulations….. have a brilliant time. Well done. Enjoy. I’d recommend registering yourself into the eco-conscious camp site. Can’t remember what it was called, you’ll find it on the B&S website, but it improved my experience last year no end. Haven’t been for a long time and that lineup is making me want to swim in the mud for two days. Seeing as giving a home to a stray dog wasn’t enough to win Yo! Sushi vouchers, I’m going to have to change tack and employ my appeal to pity technique by taking in stray babies instead. Noice one Jozzster. Enjoy the music and don’t make a Body and Soul baby, ye have enough now, leave some for other people. that is actually a quality answer. nice one! You might find taking the full length mirror out of your bedroom will help with that.